1. Vanessa Ferlito at 'Shadowboxer' Los Angeles Premiere - Red Carpet at ArcLight in Hollywood, California, United States. The aspiring actress Vanessa Ferlito is an Italian-American actress famous for her outstanding roles on a number of hit TV shows including 24, CSI:NY and Graceland. Her stunning looks and bold personality has made her one of most sought after actresses in Hollywood. Vanessa who is of Italian descent made her first debut in early 20's, starring in the sexual comedy show,“On_Line”, where she portrayed one of the stars of an adult webcam site. Her career took a major turning point when she grabbed a recurring roles in third season of 24 and later landed up as one of the leads in hit show, CSI: NY. Vanessa has also starred in a number of A-list movies including John Leguizamo's 2003 boxing drama, Undefeated which earned her an NAACP nomination for Outstanding Actress in a TV movie. Later she bagged a role in 2004, superhero film Spider-Man 2 movie and gained much recognition in Hollywood. "I've never done drugs, but drugs have affected my life because my father died of a heroin overdose when I was 2 years old. 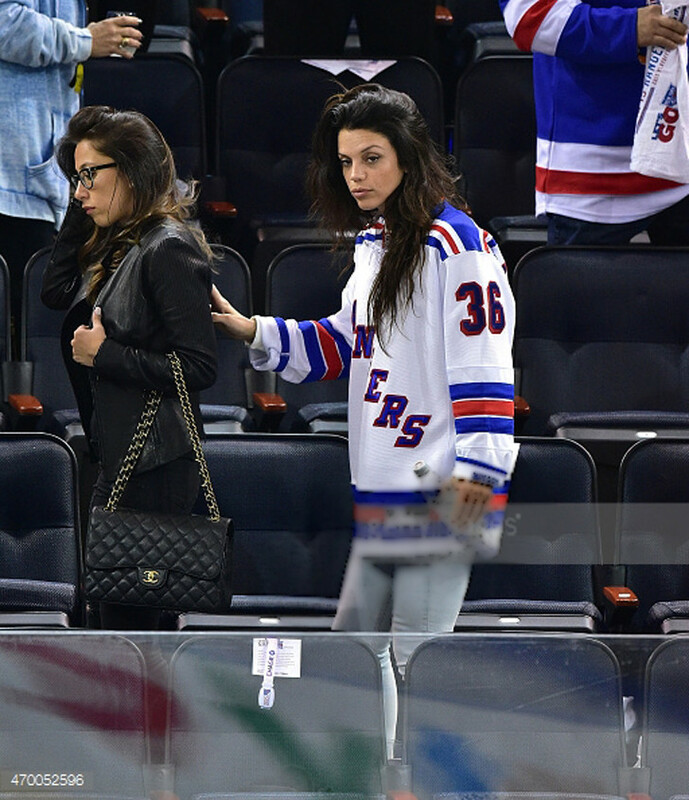 It was really hard to go through all of that for me any my family"
Despite portraying intense roles in her TV shows, she's a light-hearted woman, crazy for ice hockey and here she's seen attending the Pittsburgh Penguins vs New York Rangers playoff game at Madison Square Garden. Vanessa has maintained quite a low profile on the media about her personal life. She is a single mother to her son, Vince whose father has still not been disclosed by the 37-year-old actress. Back in 2014, the beautiful actress was caught sharing smooches with the 53-year-old actor Quentin Tarantino after having a romantic dinner in a posh restaurant in Manhattan. The pair was spotted sharing intimate hugs and they talked for a really long time before driving off. The rumor has not been confirmed by either of the party and it seems it was just a one time fling!